Macomb, MI. February 4, 2019 – Admore Folders, a division of Ennis, Inc. (NYSE: EBF), was honored as Corporation of the Year by The Printing Industries of Michigan, Inc. (PIM) at the thirty-sixth annual Michigan Printing Week Dinner and Awards Banquet, held in Livonia, Michigan. 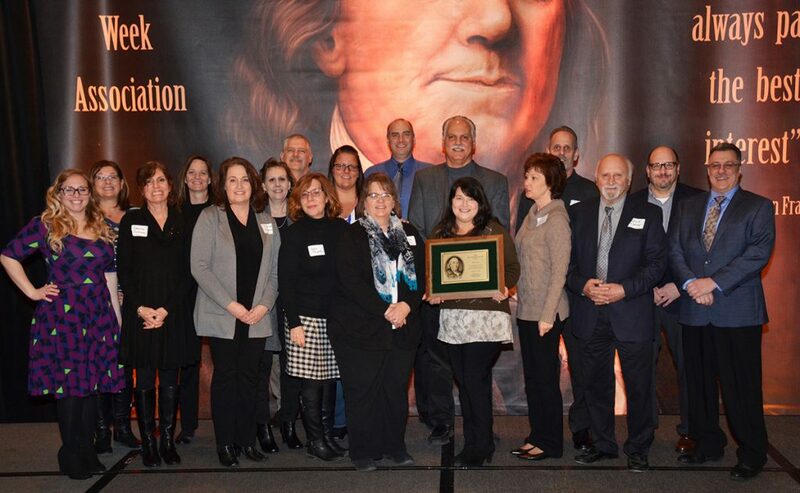 Each year at this event the Ben Franklin Awards are presented to those who exemplify the best of the graphic arts industry. Admore Folders was recognized as the top company from among all PIM members. “Being named Corporation of the Year is really a hats off to all of our employees. Our job is to exceed customer expectations on a daily basis, and that has been key to our success as a leading manufacturer of premium presentation folders,” said Admore General Manager Bill Tignanelli. For more information about Admore Folders, call 800.523.6673 or visit admorefolders.com. For information about Ennis, Inc. call the Ennis HOTLine at 800.972.1069. Since 1909, Ennis has been primarily engaged in the production and sale of business forms and other business products. The Company is one of the largest private-label printed business product suppliers in the United States. Headquartered in Midlothian, Texas, Ennis has production and distribution facilities strategically located throughout the USA to serve the Company’s national network of distributors. Ennis manufactures and sells business forms, other printed business products, printed and electronic media, presentation products, flex-o-graphic printing, advertising specialties and Post-it® Notes, internal bank forms, plastic cards, secure and negotiable documents, envelopes, tags and labels and other custom products. For more information, visit ennis.com.